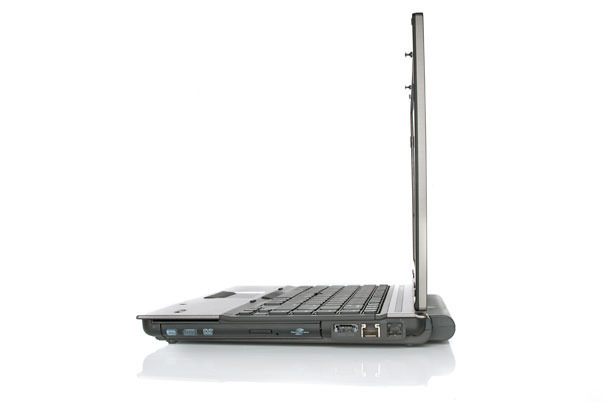 We aren’t sold on the hybrid style keyboard, but overall the EliteBook 8540w offers a very capable and durable mobile workstation that delivers a good deal of power in a package that is still portable enough to take on the road without a roller case. The HP EliteBook 8540w Mobile Workstation had very solid performance in our tests, combined with excellent looks and build quality, topped off with an equally impressive sub-$2,000 price-point. Right now the MSRP of $1,679 is the current going rate with sales few and far between. Compared to the standard EliteBook 8540p with a very similar configuration and performance, it's roughly $300 and change more. With the recent drop in SSDs and hybrid hard drives we were surprised to see no higher performing drives trickle down into the pre-configured models. A slightly more affordable 8540w is also offered with a Core i5 processor and ATI FirePro M5800 for $1,469 for users on a tighter budget. 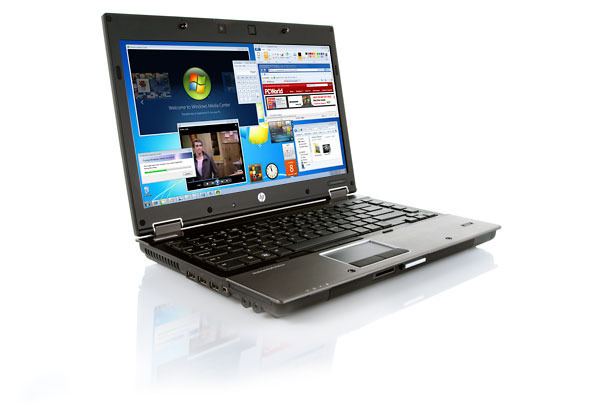 Overall if you are in the market for a Workstation-class notebook, the HP EliteBook series is highly recommended. The name says it all: It's all about the screen. The HP EliteBook 8540w Mobile Workstation with DreamColor Display is designed for mobile professionals who don’t want to sacrifice performance or visual quality while working on the road. A stylish, highly configurable notebook with a class-leading screen and solid design, this EliteBook is an excellent mobile workstation for photographers and graphics pros. With rare exception, mobile workstation laptops are not glamorous. It's a category that puts performance, security, and practicality before portability and stylish design. The HP EliteBook 8540w, though maybe not a full exception, proves that a manufacturer can offer a powerful, secure, rugged workstation that looks good, too. 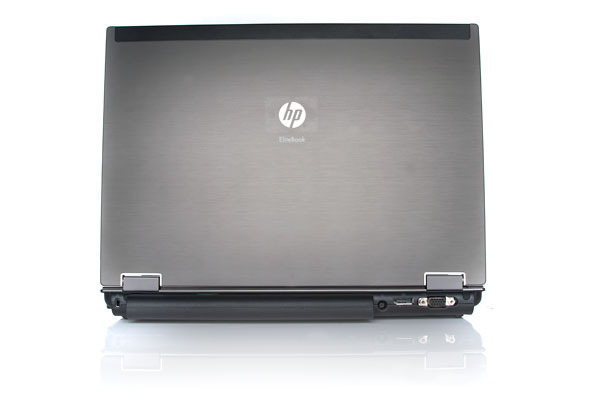 The HP EliteBook 8540w is an attractive and versatile mobile workstation that's tougher than it looks. 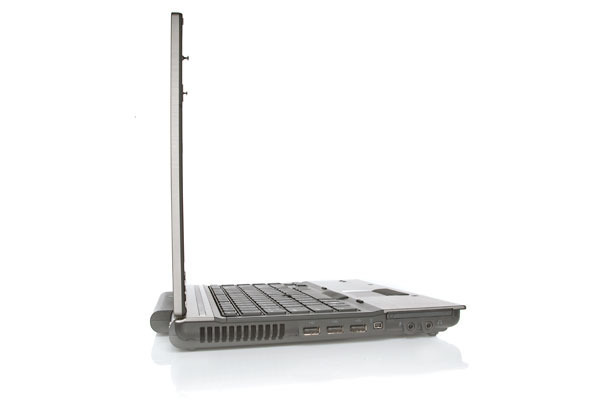 More than just an inch bigger in the screen department, the HP EliteBook 8540w adds plenty of extra high-speed connectivity and a professionally qualified graphics processor. For powerful processing and rendering on a portable workstation, the HP EliteBook 8540w is a tough cookie, and tough to beat. NVIDIA Quadro FX 880M: Professional middle class workstation graphics card that is based on the GeForce 330M core but features lower clock rates.ATI FirePro M5800: Upper middle class workstation graphics card based on the core of the Mobility Radeon HD 5730 graphics card with DirectX 11 support.NVIDIA Quadro FX 1800M: Mobile workstation mid-range graphics card for 15" laptops. Based on the same core as the GeForce GT 335M but equipped with professional drivers and support.» Further information can be found in our Comparison of Mobile Graphics Cards and the corresponding Benchmark List. 540M: The Core i5-540M has only 3 MB L3 Cache (compared to the I7-620M) and clocks between 2.53-3.06 GHz (Turbo Mode). Thanks to Hyperthreading, 4 threads can be processed simultaneously. An integrated graphics card (GMA HD 3150) and a DDR3 memory controller are also included in the package.